The role of monoclonal antibodies (“monoclonals”) and their derivatives, is rapidly increasing in the pharmacotherapy of cancer. Hundreds of monoclonals are under development worldwide, oncology being the main area of development. This is good news for cancer patients since some of the future anti-cancer monoclonals will bring major therapeutic advances. Unfortunately, the costs of cancer pharmacotherapy have risen steeply, partly because of the increased use of anti-cancer monoclonals. The rapid influx of new expensive monoclonals and other break through therapies threatens the sustainability of cancer pharmacotherapy. Most measures to curb the costs of biological cancer therapy for the health care system have untoward effects, such as rationing and increased costs to the patient. Similar biological medicinal products (biosimilars) provide a gentle tool to lower drug costs. Cheaper biosimilars are known to increase competition which will lead to price-reductions of the corresponding original therapeutic proteins and sometimes even other products in the same therapeutic class. Biosimilars also increase the access to biological therapy (1). European Society for Medical Oncology (ESMO) position paper on biosimilars in January 2017 highlights the rapidly increasing costs of cancer pharmacotherapy, estimated to be 140 billion € in 2020, one one hand, and the potential positive impact of biosimilars on the sustainability of the health care systems, on the other hand (2). In Europe, the feast of biosimilars is ready to start. 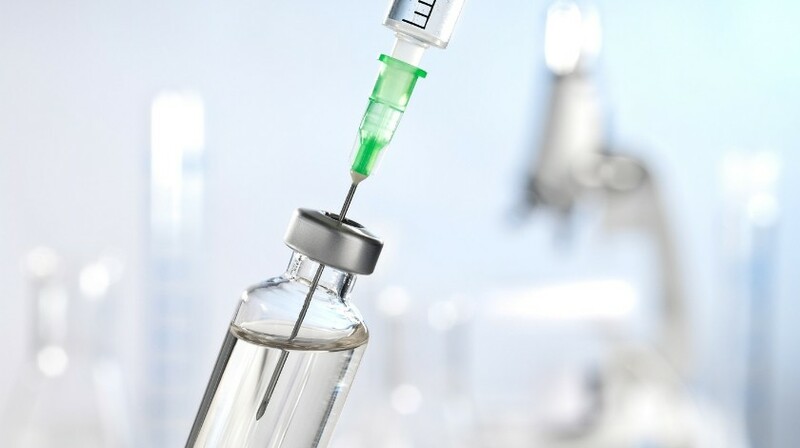 The first biosimilar rituximab has been granted marketing authorization, five others have been evaluated and recommended for approval by the Committee of Human Medicinal Products (CHMP) of the European Medicines Agency. In addition, four candidate biosimilar trastuzumabs and two bevacizumabs are under review by CHMP (3,4). There are huge economic values at stake. Therefore, oncologists should be aware of commercially motivated attempts to block biosimilars by all means including information that questions the quality, safety and efficacy of biosimilars (5). Do prescribers understand the concept of biosimilarity? Thus far, biosimilar monoclonals have been introduced mainly to rheumatology, gastro-enterology, and dermatology. In the past, the position papers of several corresponding medical societies in Europe evaluated biosimilars using the same criteria as for original products with new active substances – mainly on the basis of conducted clinical trials. (6). It is important that biosimilars are approached from a multidisciplinary point of view, rather than looking only at the one part of the development, namely the limited clinical trials (7). Thus, the sole purpose of the biosimilar development is the demonstration of similarity by an extensive comparability exercise composed of analytical and functional tests, as well as of limited pharmacokinetic, efficacy, safety, and immunogenicity studies. The conclusion of high similarity is based on a synthesis of all data, i.e. “totality of evidence”. As a result of increasing knowledge and experience, the new revised guidelines by medical societies recognize biosimilars and the corresponding original products as equal therapeutic choices. Similar but not the same – a problem? In the scientific literature, some experts argue that, since biosimilars are not identical to the corresponding original products, there may be additional risks in using biosimilars, especially biosimilar monoclonals (8-10). In the discussion of risks of biosimilars, it is often forgotten to mention that the original products are not the same as they were at the time of their marketing authorization. All biological products undergo several changes in their manufacturing process during their life cycle. These changes result in a new version of the product that should have the same safety and efficacy as the previous version. Therefore, the manufacturer has to compare the product from the old and new manufacturing processes by appropriate tests to demonstrate comparability (11). Major changes in the manufacturing process may require pre-clinical or clinical studies to demonstrate comparability. Hundreds of analytical comparability studies have been conducted over the years to ensure the high similarity of different versions of therapeutic proteins. The development of a biosimilar is based on the same principles of comparability and on the vast experience of hundreds of manufacturing changes (12). What does ESMO say about biosimilars? Oncology is the next medical specialty to take a position on biosimilar monoclonals. The position paper of ESMO emphasizes the importance of information to prescribers and patients for the introduction of biosimilars to the clinic. It is particularly important to understand how biosimilars are regulated (13-15) and to know that true biosimilars are those that are developed according to the strict regulatory requirements applied in the ICH countries, especially in the EU, USA, and Japan. The ESMO position paper proposes that the EU Summary of Product Characteristics (SmPC) should contain information from the clinical studies of the biosimilar product and refer to the European Public Assessment Reports (EPARs) that contain the full information on all tests and clinical studies conducted, including the risk management plans (16). From the regulatory point of view, EPAR is the relevant document for clinicians who wish to know how the biosimilar was developed whereas SmPC contains information on the appropriate clinical use of the product. Biosimilas should be used exactly as the corresponding original product. Therefore, EMA and the FDA, ask the biosimilar developer to copy the relevant parts of the originators’ SmPCs or Package Inserts. The purpose of the development of a biosimilar product is to demonstrate comparability to the corresponding original product – not to re-establish the safety and efficacy in all therapeutic indications. Therefore, the developer of a biosimilar selects a therapeutic indication that allows the detection of possible differences in efficacy. In addition, the selected “model” should be representative for safety and immunogenicity issues that are relevant for the other therapeutic indications (17). Extrapolation must always be justified and, if necessary, additional data provided. This is typically the situation with monoclonals that contain several active sites that may play a different role in different therapeutic indications. The binding to and function of these active sites must be thoroughly investigated before extrapolation can be considered by the regulators. Current clinical experience supports the efficacy and safety of biosimilars, including monoclonals, in the “extrapolated” therapeutic indications (18). According to the ESMO position paper, extrapolation of the indications should be permitted if verified scientifically and if analytical and preclinical tests and pharmacokinetic, pharmacodynamic and clinical studies are adequately performed. This view corresponds to the “totality of evidence” concept of regulators. In the EU, interchangeability means changing one medicine for another that is expected to achieve the same clinical effect in a given clinical setting and in any patient on the initiative, or with the agreement of the prescriber. It is a scientific and medical term that helps in the therapeutic decision-making. Substitution is an administrative and political measure meaning that a prescribed product can be substituted for another at the pharmacy level. The analysis of the theoretical basis, clinical studies, and post-marketing experience of switches between biosimilars and original biological products, including monoclonals, support interchangeability of biosimilars developed according to the EU-guidelines (19). For time being, several EU-regulatory agencies have issued position papers that support physician-guided switches between biosimilars and the corresponding original therapeutic proteins. In the USA, interchangeability is a legal term and means that the product can be substituted in a pharmacy without the interference of the prescriber. The FDA has recently published guidance on clinical studies to support the claim of interchangeability of licensed biosimilars (20). The feasibility of such studies remains to be seen. The ESMO position paper states that switching should only be permitted if the physician is well-informed about the products, the patient is fully briefed by the physician and a nurse is closely monitoring possible clinical changes and tracking any adverse events. Automatic substitution should be avoided in the field of biosimilars and EU Member States are advised to consider the potential risks associated with substituting a reference biological medicinal product with a biosimilar without medical supervision. Some oncologists are reluctant to switch the original product to a biosimilar as there is no immediate clinical benefit to the patient. The ESMO position paper promotes a wider perspective – increasing access to important anti-cancer medicines. ESMO makes reference to expensive breakthrough therapies in the pipeline and state that biosimilar medicinal products are particularly appealing in reducing the heavy financial burden faced by healthcare systems worldwide. The position paper states that potential savings will have a direct correlation with the uptake of biosimilars, negotiations between the Member States and manufacturers, and with the increase in confidence to prescribe by the physician and acceptance by the patient. Thus, oncologists are in a key position in shaping the future cancer pharmacotherapy. There is enough information to make educated choices. The author is an expert of the Finnish Medicines Agency and of the Biosimilar Working Party at the European Medicines Agency. He has no financial interests to declare. Tabernero J, Vyas M, Giuliani R, et al. Biosimilars: a position paper of the European Society for Medical Oncology, with particular reference to oncology prescribers. ESMO Open: Cancer horizons. ;1:e000142 (2016). Building a wall against biosimilars. Nat Biotechnol. ;31:264 (2013). Giezen T, Avendaño-Solá C, Wolff-Holz E, Weise M, Ekman N, Laslop A, Breedveld F et al. Roundtable on biosimilars with European regulators and medical societies, Brussels, Belgium, 12 January 2016. Generics and Biosimilars Initiative Journal (GaBI Journal). 5:74-83 (2016). Schellekens H, Smolen J, Dicato M, Rifkin R. Safety and efficacy of biosimilars in oncology. Lancet Oncol ; 17: e502–09 (2016). Mellstedt H, D. Niederwieser D, Ludwig H. The challenge of biosimilars. Annals of Oncology ; 19: 411–419 (2008). Niederwieser D, Schmitz S, Biosimilar agents in oncology⁄haematology: from approval to practice. European Journal of Haematology ; 86: 277–288 (2010). Declerck, P. Biologicals and biosimilars: a review of the science and its implications. Generics and Biosimilars Initiative Journal (GaBI Journal). 2012;1:13-6. European Medicines Agency (EMA). ICH Q5E, CPMP/ICH/5721/03. Comparability of Biotechnological/Biological Products: Note for guidance on biotechnological/biological products subject to changes in their manufacturing process. Accessed 30.5.2017. Vezér, B. et al. Authorized manufacturing changes for therapeutic monoclonal antibodies (mAbs) in European Public Assessment Report (EPAR) documents. Med. Res. Opin.32(5), 829–834 (2016). Kurki P, Ekman N. Biosimilar regulation in the EU. Expert Rev Clin Pharmacol. 2015;8:649-59. Lemery S, Ricci M, Keegan P, McKee A, Pazdur R. FDA’s Approach to Regulating Biosimilars. Clin Cancer Res. ;23:1882-1885 (2017). Rugo H, Linton K, Cervi P, Rosenberg Julie, Jacobs I. A clinician’s guide to biosimilars in oncology. Cancer Treatment Reviews ;46:73–79 (2016). Weise M, Kurki P, Wolff-Holz E, et al.Biosimilars: the science of extrapolation. Blood ;124:3191-6 (2014). Kurki P, van Aerts L, Wolff-Holz E, et al. Interchangeability of Biosimilars: A European Perspective. ;31:83-91 (2017). Considerations in Demonstrating Interchangeability With a Reference Product. Draft Guidance for Industry. Pekka Kurki, M.D, Ph.D, acted as a research professor at the Finnish Medicines Agency (Fimea) until retirement in June 2016. Before joining the Finnish regulatory agency in 1997, he worked in the pharmaceutical industry (clinical research), both in Europe and in the U.S.A. Dr. Kurki’s clinical speciality is internal medicine with sub-speciality in rheumatology. He has a teaching affiliation to the University of Helsinki (adjunct professor of clinical immunology). He has had several scientific positions at the European Medicines Agency (EMA), including the membership the Committee of Human Medicinal Products (CHMP, 2000-7), chairmanships of the working parties for comparability (2002-3), biosimilars (BMWP, 2004-7), cell therapy (2002-4), and cell-based medicinal products (CPWP 2005-7). He is an expert of the Finnish Medicines Agency and the European Medicines Agency.